I have this same problem and I can't tell it has nothing to do with cases or screen protectors. The screen goes black and pressing the side button does nothing. If I go crazy pressing the button and I am lucky onthe 20th press it may light up for a second, and if I am skilled enough I can press the hang up button very quick. I am facing this problem from past two days and today did this update thing after which heating started. Worst part is that even swervice center is not supporting. Loudspeaker is only 30 % functional. Cant even hear ringtone if phn is in ma pocket. I hope it was a wrong decision of switching to sony from Samsung. Genius solution. My screen was dirty directly over the prox sensor. Dialled the number, checked the prox sensor, cleaned the screen, problem solved. I had the same problem but gratefully solved after removing the screen protector/shield which was already on the phone when opened the new packed box. I agree with this, how can it be the sensor when you press the on/off button and me and my son both have th Z5 and both have this issue... Nothing worse then recently ring my ex and then having my say on the answering machine and then left to yell at the phone.... So annoyed. have activated the on/off button to use as hang up but this isn't a happy result. I am a sony phone user for last 3 phones (6yrs) and this is the first and most frustrating issue I have encountered. *#*#7378423#*#* worked. 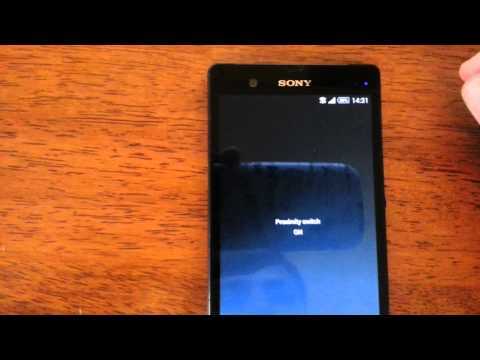 I found out that the tape I used to cover the notification light on my Z1S accidentally covered the proximity sensor. I reduced the size of the tape and it stayed on when not near my head. Thanks everyone for the suggestions. Also, the reason why removing the screen cover worked was probably some dirt or scratches over the proximity sensor. It's very sensitive. The screen covers made for the phone other than the shatterproof one don't cover it for that very reason. I had the same issue and it's been driving me nuts for months, it turns out the solution is actually fairly simple, works every time! !